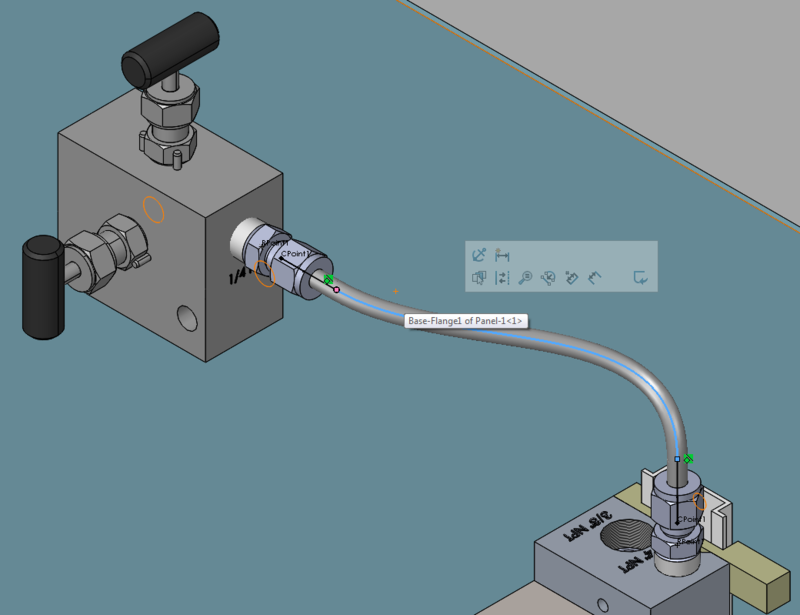 New to SOLIDWORKS 2019, is the ability to add Coverings of a Fixed Length. This works with routes that use splines, such as tube and electrical routes. 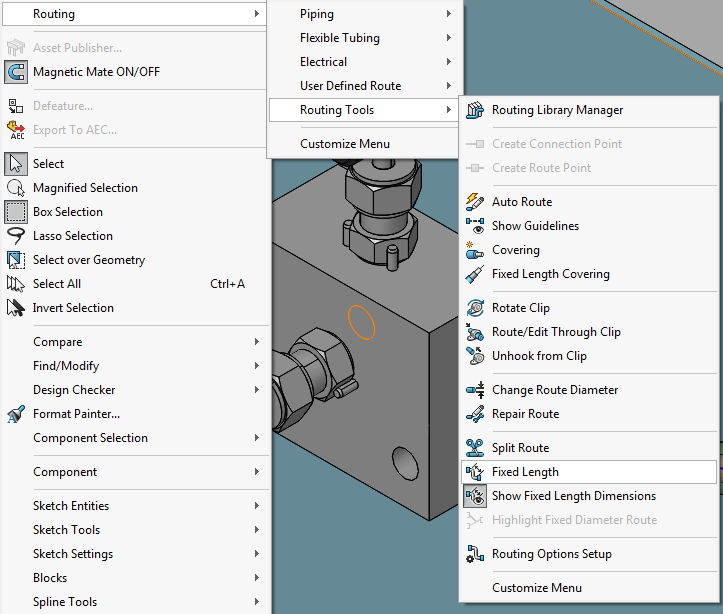 To use this tool, edit a route and select a spline route segment. The Fixed Length Covering command, can be launched from the Tools menu in SOLIDWORKS, as shown below. The command can also be added to the appropriate Command Manager tab, by Customizing the Command Manager. The length of of the covering can be defined by a linear value, offset values or an offset and a linear value. Other then defining the length of the Fixed Length Covering, the remaining options remain the same as the standard Covering tool.